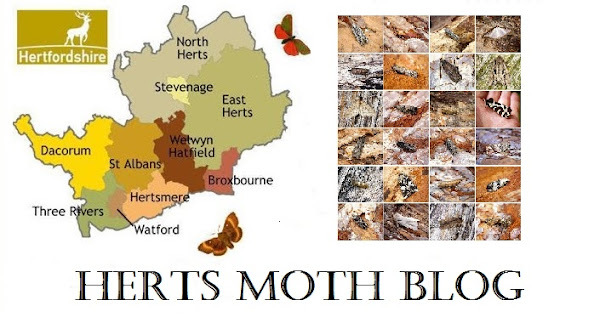 Phew wee what busy times we've had lately, I am a week behind again with my catch reports from my garden and I am literally just going to list the best moths including new for year species as I physically cannot keep up! The heat wave continues and with temperatures soaring to 30 degrees and not dropping beflow 20 at night (making it very uncomfortable at night), the moths have been absolutely everywhere. A greased up Crambus perlella initially got the heart racing, unfortunately it must have found some oil I spilt whilst servicing the generators. A County second record of Scythris limbella was new for me as well and really unexpected and very pleasing indeed backed up by two more new for garden Micro moths, but the Macro moth front didnt disappoint either with 3 garden first records as well! A year first species count was broken in style with 25 Yponomeuta evonymella's! Absolutely crazy stuff and this now brings the total moth species count for the garden since August 2012 to 604 species.